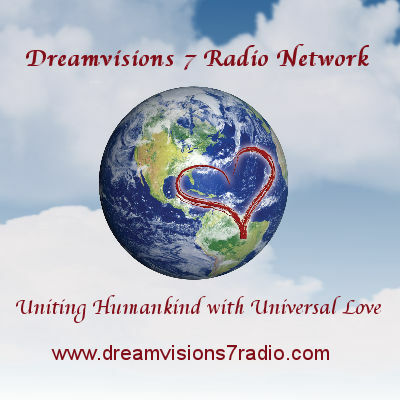 Q & A with Bernie – January 13, 2014 | Bernie Siegel M.D. The placebo effect has been known and studied for some time, but what I think may not be fully understood is how the body responds to the notion that the mind believes the problem is resolvable. My take away is that the mind-body-connection is so strong as to turn on the body’s internal ability to heal once the mind determines so. The problem for too long is that we have abdicated control over our bodies to doctors and pharmaceutical companies instead of using our self-healing powers. If we can retrain our mind to once again believe in the tremendous healing power of the body there is no telling what we can heal. The headline about knee replacements is no surprise. I have written about witnessing patients who had cancers shrink during treatment, only to find out later that the equipment was not working on the day they were treated, and they actually received no radiation. But because they fully believed they were undergoing treatment, their self-healing power worked all by itself. I just wanted to run something by you. I have been participating in art therapy called Painting with an Open Heart over the last 16 months. I paint along with two other women (not previously known to me) for three hours every fortnight. We paint anything that wants to come out. I have found it a very liberating process, and I know it has added to my own self- confidence and awareness in other areas of my life. The session is led by a psychotherapist who sees the other two women as personal clients on a one-to-one basis, so the sessions can be very intense at times. Lately I have been feeling a lot of resistance to going and have been thinking about stopping. I thought hard about why I am feeling this resistance. I think it is because I have begun to feel uneasy talking about my deeper feelings in the session because the psychotherapist is actually a friend of mine outside of the painting classes. We got to know each other a couple of years ago as our children were at the same school. She told me about the painting classes and offered me a taster day. I had some one-to-one psychotherapy when I was in my 30′s and found it very helpful, but the relationship with the therapist was strictly professional. I feel a bit trapped and like I can’t get out of it easily. This feels worse because she is a friend. Have you got any thoughts on the matter?? What you describe is a good example of how people can get wound up in “over thinking” situations and in taking responsibility for the happiness of the other people involved. This is because childhood training often focuses on being “good” and putting your own feelings aside to try and make everybody else happy. The cost of this training is that we never learn how to say “no” when our instinct or simple reason tells us we should. So the answer to your dilemma is easy. Honor your instinct and let your heart make up your mind. It is telling you to eliminate the stress of this negative situation to preserve your health—it is telling you to leave the group. You have no obligation for anyone else’s happiness in this situation. Your only obligation is to yourself. Simply say, “Thank you for the interesting time, but now I need to leave.” Most importantly, do not explain yourself. You never have to explain yourself when you are acting on your own instinct in your own best interest. 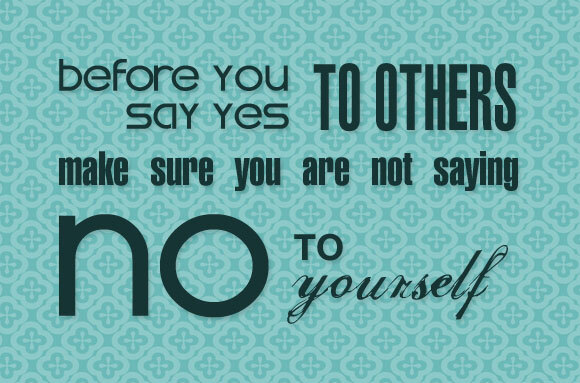 Make this your mantra: Learn to say “no” to others and “yes” to yourself. I want to thank you for having a hand in helping to save my life when I had cancer. I was diagnosed with a high grade, stage3B, soft tissue sarcoma of the right chest wall 3 ½ years ago. The chemo and radiation protocol was aggressive and brutal. The surgery was just as bad. When I was diagnosed, a friend gave me one of your books and a meditation CD. I read the book and listened to the CD every day. I have no doubt in my mind that the healing meditation and visualizations played a key role in my survival. I never had a setback during chemo and never needed a blood transfusion, even throughout the 6 ½ hour surgery that followed. My friends, family, and even my doctors were amazed. I credited your book and meditation CD for this remarkable endurance. I just gave the book and CD to a friend of mine who has been diagnosed for the second time. I hope it does for her what it did for me. Thank you, thank you, and thank you again. I am 3 ½ years cancer-free and going strong. You are a talented performer. I had the privilege of being your life coach and you showed up for practice. Now you can get the most out of being on the stage of life, where all things are possible. 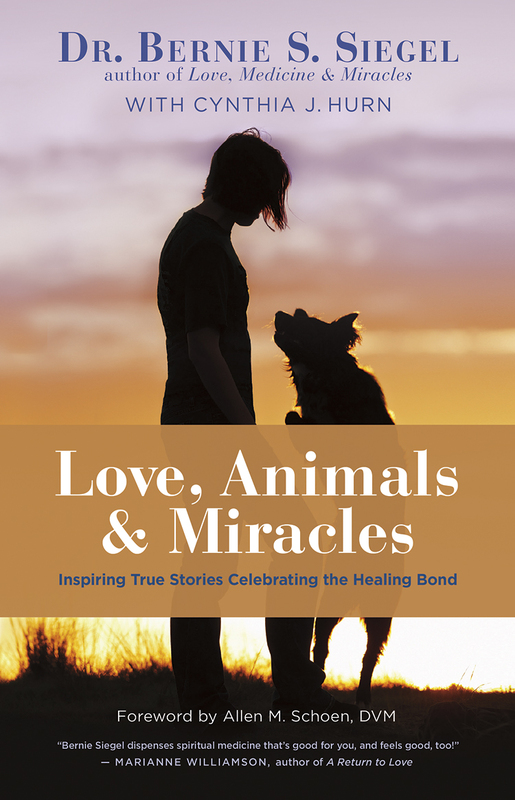 This entry was posted in Mind / Body Medicine, Psyche & Soma Revealed by Images, Q & A with Bernie, Relationships and tagged art therapy, chemotherapy, knee surgery, mind-body connection, placebo effect, self-healing, soft tissue sarcoma, visualization. Bookmark the permalink.